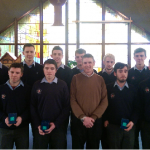 Good Counsel College is a modern, campus style, large school with over 820 pupils and 60 teaching staff. The school is committed to excellence in all activities and the role of school caretaker is hugely important in ensuring that all school facilities, equipment, buildings and grounds are maintained to a very high standard. We are looking to recruit a new Caretaker – effective June 5th 2017 . 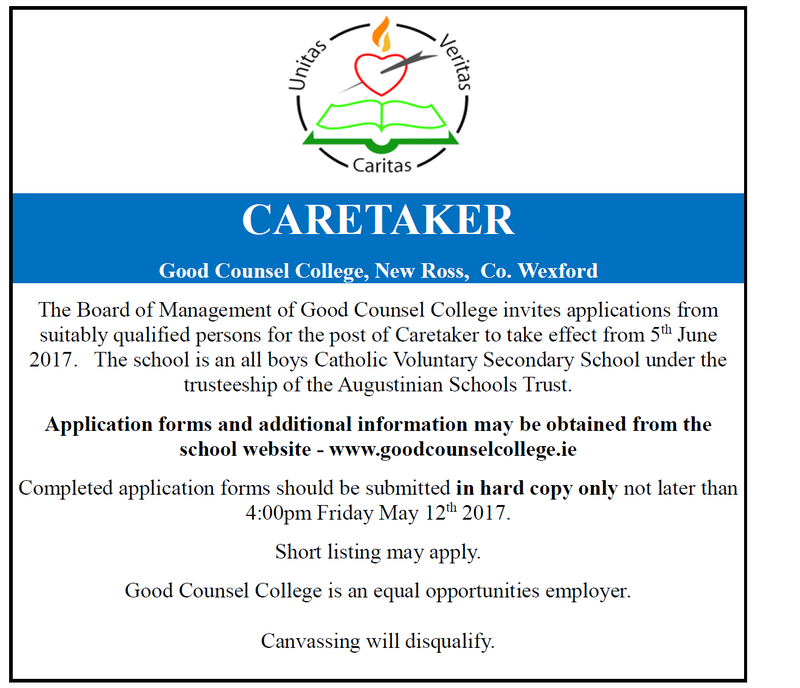 This is a Fixed Term Contract (1 year) for an individual working as a Caretaker in Good Counsel College, reporting to the Principal / Deputy Principal. The successful applicant will be paid as per the 10 point pay scale beginning at increment 1. 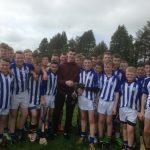 Closing Date is Friday May 12th 2017 at 4pm. Below is a video of an aerial view of some of our campus.